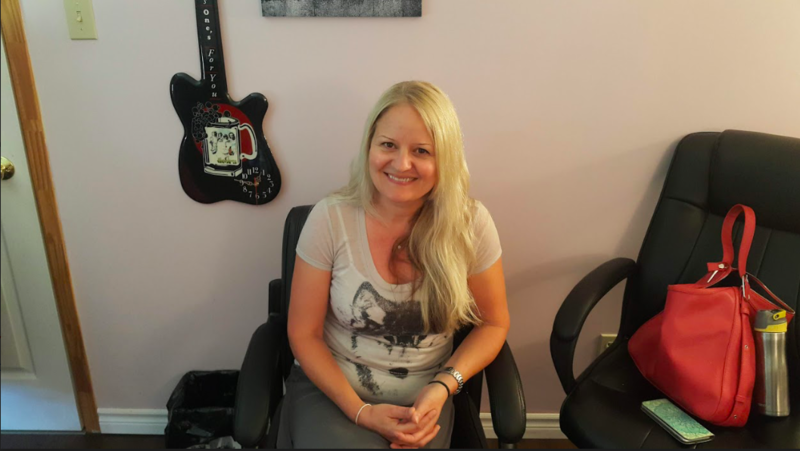 High School Math Teacher from Stouffville, Ontario Canada. When I attended the first introductory session and the first lesson with Diana, I really didn’t know what to expect. I had read many reviews and testimonials but I didn’t really know much about her technique besides that it was innovative. 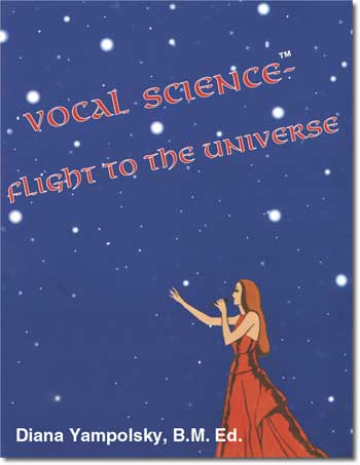 I wasn’t sure what the title “Vocal Science” had to do with anything. I was first struck with Diana’s straightforward manner. She tells it like it is. I appreciate people who are direct. Constructive criticism is the only way to really learn and improve. She had a clear grasp of my potential and where I might be able to take my voice. I’ve never had any aspirations to turn my singing into something on a professional level, but I appreciated that her lessons were measured (I wasn’t going to be taking endless lessons for years) and defined (we were going to go from A to B). When we began the exercises, I started to get a feel for what her technique was about. It was quite different from what my limited foray into voice lessons had taught me. Diana’s method made sense from a scientific and mathematical standpoint; for example, tying the diaphragm and the breath to the facial muscles, bypassing the strain on the vocal cords. Also, her visualization of circles of sound, to me, seemed set on a mathematical grid, an x-y axis, with the height and breadth defining the sound. Her technique also made sense to me on a physical level — the athletic posture to enhance breathing, not the traditional stance of vocal instruction emphasizing the extension of the diaphragm. Being a math teacher and someone always interested and involved in fitness, all of this appealed to me. While the system seems elegant and straightforward, putting it into practice was something else entirely. It sounded easy but was ever so hard to implement. It’s like superimposing puzzle pieces to allow one small beam of light to pass through. It’s the alignment of breath, of musculature, of sound, of position. With Diana’s direction, if you are able to lock all of those things down, you can definitely hear an immediate effect. It’s like turning on a switch. Her exercises are an attempt to engrain all of these elements into muscle memory so that it eventually becomes second nature as a singer (or speaker), and something that a speaker/singer can apply to any vocal scenario/song. It was at this session when I realized the amount of work involved in this process. Yes, Diana is the professional and magic does happen, but it’s not with putting your share of hard work and persistence into the process. It’s often very humbling. It’s often frustrating. Ultimately; however, when you’re able to get the sound that Diana is after, it’s very satisfying. The day after this session (on Saturday), I attended a party at a friend’s place. Many of my friends are musicians and we often jam and sing together. I sang a number of songs and I felt confident and my voice felt strong. My friends complimented me on my singing, but it was my husband who defined the difference in my voice. He said my confidence and my clarity had improved. Although I hadn’t really been thinking about the techniques I had worked on with Diana apart from breathing posture, I think, at some level, I was already building her techniques into my subconscious. As my grasp of the facial positions and postures increases, Diana raises the bar in terms of her expectations, as all good teachers do. She begins to zero in and listen more closely (if that’s possible for her as she can hear the smallest of breaths). She demands more precision and that’s exactly the direction in which I’m hoping to go. The number of sessions together are short, and so we need to define the process in as much detail and with as much perfection as possible. It’s amazing to me that much of our lesson involves just my speaking voice when I’ve come to her for vocal singing lessons. The results speak for themselves, though. As they say, you can’t learn to run until you know how to walk. It’s not about learning how to sing. 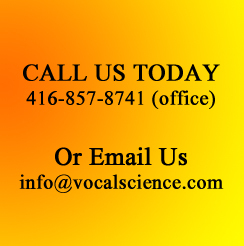 It’s about building the blocks that allow for the optimal sound with the least amount of strain on your vocal cords. Today’s lesson was also eye-opening. At the end of our session, we began to get into more of the singing techniques and applying them to what I’ve already learned in terms of producing sound effectively. Diana played a recording of a 3-part singing practice. I managed to get through the first part and look forward to practicing this again next session. She also played the other parts for me so that I could understand what was coming next. The practice was well-constructed in that it kept building in complexity and covered many of the vocal scenarios one might experience in a song: speeds, tonal changes, clarity – all of these were required as one progressed through the sequence. I don’t know if I could ever complete this practice – it becomes very advanced – but I consider it a challenge to get as far as I possibly can. I’m confident that with Diana’s guidance, I’ll do just that.